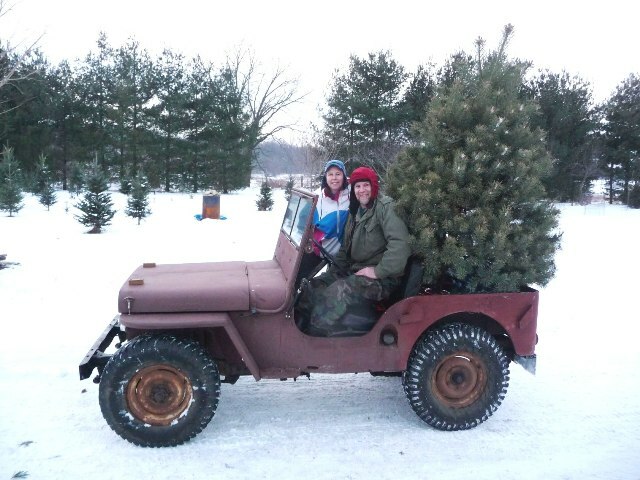 I'm looking at a 1945 CJ2A. On the plus side, it's fairly intact and is in a dry climate so it has much less rust than I'm used to seeing in the East. It is, however, missing some parts that I'll need to track down if I buy it and want to bring it back to original condition. I've been following this board for a while, so I have a general sense that many of the following items are hard to come by. Now that I'm actually considering getting this vehicle, I thought I'd try to get a better sense for prices and availability. Any responses on cost and sources for these parts would be much appreciated. Floor plate to cover the transmission. Steering wheel. I'm assuming these are interchangeable with late-war Willys steering wheels. Is that correct? Drawbar for rear tow hitch and other accessories. Solid rims. I know these are very scarce. I actually have three questions about these rims. From what I've read, it's not 100 percent sure that all the early vehicles had them. The current rims on the vehicle have slots like a later jeep. 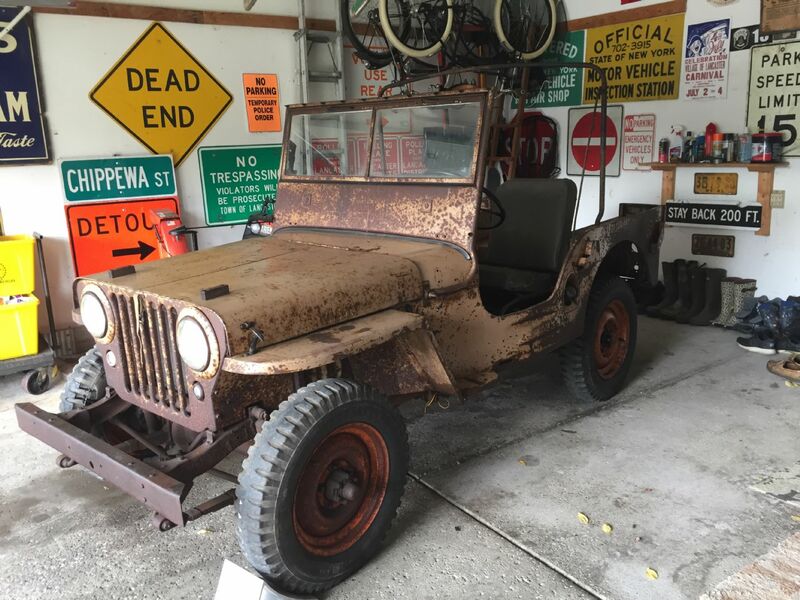 Is it possible these were original to the jeep in 1945? The second question is what is the going price for an original solid rim in road-worthy shape? The third question is if anyone is making high-quality reproductions of the solid rims? Horn and bracket to attach it to the firewall. Rear view mirror and arm that attaches it to the driver's side exterior. My thanks in advance for your time and responses. Pictures? Correct all depends on serial number and what was correct for that moment it seams. Lots of changes in the first 12 to 18 months of production from what I have read. There are experts on the 1945 here, but they will need numbers and photos. If you scroll down in the research topic column, and look at the topic bumper holes etal, you will see my 45 2A in a group of photos in that thread. All the items on your list are not particularly hard to find with exception to an original side mirror and arm. Fortunately there is a decent repro on the market you can use till you find an original. Here's a few notes about 45 and early 46 2A parts. 1) The Cylinder head should be non-ribbed. 2) The 45 draw bar is a little different for the early side exhaust. It is not scalloped to clear the rear exhaust like the later jeeps. If you have trouble locating one, you could always fill in a later style. 3) yes, steering wheel is interchangeable with war (MB) wheel, but is black. Thanks for all that info, Joe. Great to hear from you. If I get this, I'll post more photos and info. Thanks for your post, Frank. I'll definitely check that out. This link shows head styles over years and models, however it does not show the smooth one for yours. Edit: this is a good post too. Read what Fred Coldwell says on page 2. He wrote a great book on pre-production civilian jeeps. I have a column shift trans , column and linkage I could be convinced to part with if it were going to good use. Thanks for your note. I sent you a PM. how do I decipher the 6-24 casting number on that head photo ? what is it telling us ? Early CJ-2A jeeps used nonribbed smooth 640161 cylinder heads which were "civilian" cylinder heads never used on the production model MB during WW II. The earliest 640161 cylinder heads had no ribs and were smooth topped like the MB 639660 and 639660C cylinder heads. The 640161 smooth cylinder heads were first used on the twenty preproduction model CJ-2 jeeps built in in Spring 1945. The 640161 unribbed cylinder head continued to be used on the production model CJ-2A civilian jeep for about one year (but much later CJ-2A jeeps having "buy-back" military engines installed used the military 639660C MB cylinder head). Greaser I am not an expert by any means. I just used what I found here and G503.com regarding the right head for my Jeep. I never really found a definitive answer on dating them, but if you search you’ll find a lot of discussion about it that gets you close. Look and the cylinder head column. And my apologies if my answer seemed a bit abrupt. I am also new to Willys products and am assuming the 6 is the month and the 24 is the day. If that is not the case, I am happy to learn more.